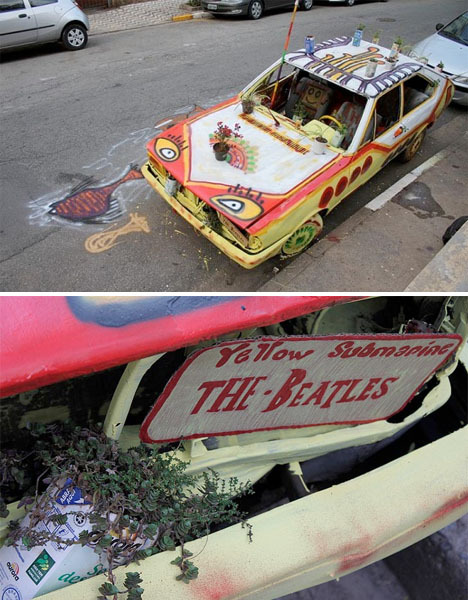 An abandoned car left to rust by the curb in São Paulo, Brazil became a ‘yellow submarine’ art installation for World Car Free Day, turning an eyesore into an attraction. 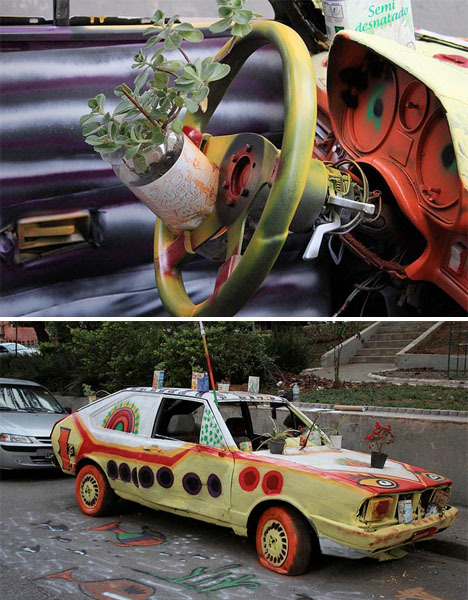 Junkers sitting around in public places can be a depressing sight, but this car is anything but thanks to a creative paint job and a bunch of potted plants. 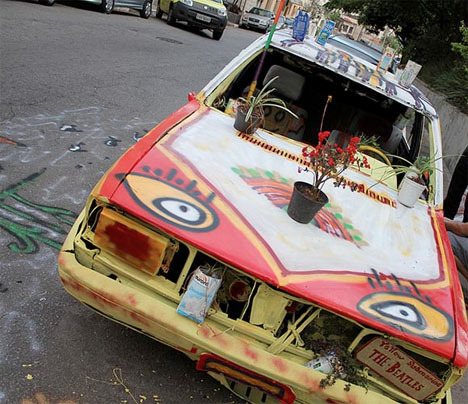 ‘Yellow Submarine’ is the fourth urban intervention of ‘Ocupe Carrinho’ (Occupy the Car), a movement that aims to alleviate the urban blight of abandoned cars through cheerful transformations. Founded by Felipe Carrelli, Ocupe Carrinho helps call attention to a common problem in the city of São Paulo, where cars are often abandoned due to the high cost of owning them. 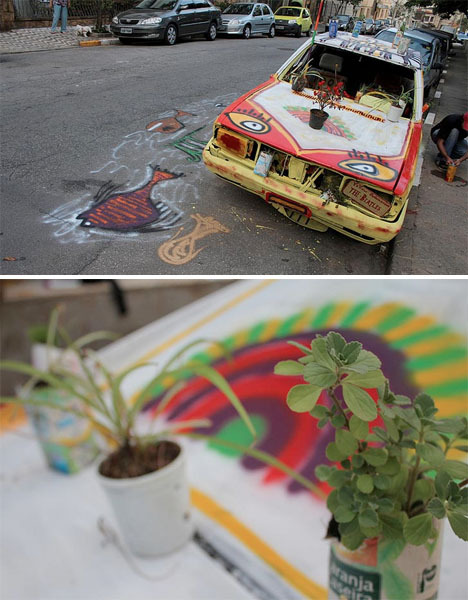 Carrelli and his crew turn the cars into public art with a bright makeover that extends to the asphalt around them. The Yellow Submarine began when someone contacted the crew through their Facebook page to let them know about a car that had been sitting in the same spot for three years. Of course, the name is a nod to the song by The Beatles, but it also refers to the city’s flooding issues due to poor stormwater management.